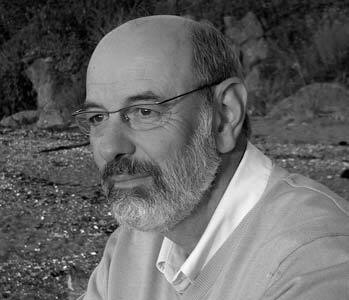 Tim Elliott was born in St. Catharines Ontario, and is a graduate of Huron University College, London Ontario, the General Theological Seminary New York, New York, and earned the Doctor of Ministry degree from Trinity College in Toronto. He was ordained in 1977 and served three Anglican parishes in Toronto. In 2002 he began his new venture as a ministry development coach and consultant, keynote speaker, professional musician and author. His book, "Clarity and Courage: Life as an Improvised Journey" tells the story of his wake up calls and turning points and provides a map for those who need or want to make a change in their life. As a professional musician, he has recorded three solo piano albums. He travels widely and speaks about life and vocation using jazz as a metaphor. He is married to former CBC broadcaster Judy Maddren, co-founder of Soundportraits, a Canadian company that records audio autobiographies and they have four adult children. Dr. Tim Elliott is an Anglican priest, leadership and life coach, musician and speaker. For 25 years he was in parish ministry in the Diocese of Toronto, latterly as Rector of Christ Church Deer Park where he started Jazz Vespers in 1999. He is now an Honourary Assistant at the Church of the Redeemer in Toronto. He is a graduate of Huron College University, the General Theological Seminary in New York, and the Toronto School of Theology. His Doctor of Ministry studies focused on the intersection of work and vocation. He is author of Clarity and Courage: Life as an Improvised Journey and has recorded three solo piano albums. He is a partner with Jennifer Clarke in Six Oaks Consulting - Canadian Ministry Development Services. This firm provides consulting services designed to support health ad growth in the life ad work of the church. He is a Certified Professional Co-Active Coach and is a member of the International Coach Federation. In addition he travels throughout North America speaking about jazz, vocation, and creativity. He is a member of the Duke Ellington Society of Toronto and is researching the music of Duke's sacred concerts.